1971's Aqualung to many is Jethro Tull's masterpiece. The title track and "Locomotive Breath," with their catchy riffs, would be joined by "My God," "Cross-Eyed Mary," and "Hymn 43" as classic rock staples. There’s no arguing with its commercial success, having sold more than seven million copies and continuing to outsell anything in Jethro Tull's back catalog. Yet, Aqualung is arguably Tull’s most misunderstood album. Critics dubbed it a concept album, particularly for Anderson’s critical, skeptical views of organized religion, mostly on side B (“My God”). Anderson has disputed, almost resented, the assessment seeing the record as “just a bunch of songs.” The labeling lead the band to really give the critics a concept album with the following studio release Thick as a Brick. Aqualung has a dominant theme but is certainly much more than a concept album hinging on a solitary subject. Anderson explores the struggles of the less fortunate in our society (“Aqualung,” “Cross-Eyed Mary,” “Up to Me”), teenage angst and formal education difficulties (“Wind Up,” “Mother Goose”) and returns to his parental themes with “Cheap Day Return, a tune encompassing Anderson’s feelings while traveling to visit his sick father. Aqualung is where Anderson really begins to develop his personal style for acoustical guitar songs with “Cheap Day Return,” “Mother Goose,” and “Slipstream.” It also established one of the most notable features of Jethro Tull’s music: songs varying with intensity, mixing medium to heavy electrical sounds with lighter acoustical passages. 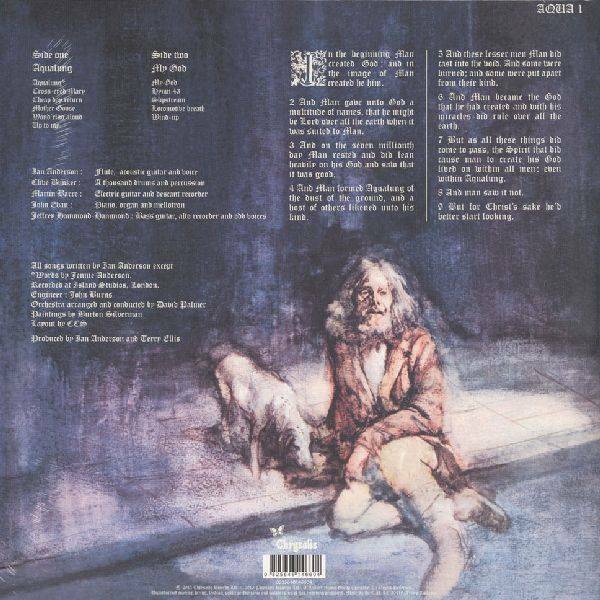 This new 2015 vinyl edition of Jethro Tull's 1971 masterwork, Aqualung was mastered from Steven Wilson's 2011 40th Anniversary stereo mix and is pressed on 180g LP with an accompanying 24 page booklet in a reproduction of the original gatefold cover.